You have to see it to believe it! 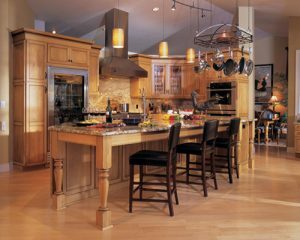 The Kitchen Store has one of the largest showrooms in Los Angeles and Orange counties, with 7,000 square feet of product displays to help you make just the right selections for your next kitchen or bath remodeling project. You’ll also find experienced designers who are eager to provide you with custom design service. The Kitchen Store showroom is easy to find in Culver City. We’re at the corner of Slauson & Sepulveda, next to the 405 Freeway. Stop by and visit with one of our talented designers today! Let’s Get Started – Schedule a FREE Design Consultation! Schedule your FREE design consultation in our beautiful kitchen showroom by contacting The Kitchen Store at (310) 572-7515. You can also complete our online request form.